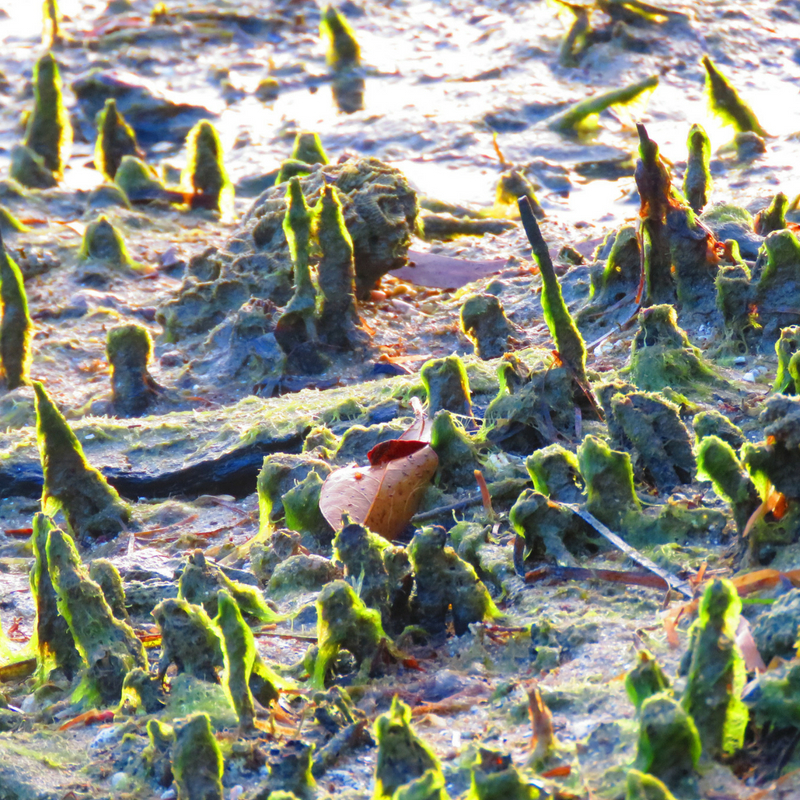 This image is of a moss covered mangrove root system. One of the Quandamooka breeding habitats of the mosquito. Unless you have lived on a sub-tropical island and experienced the full extent of every season you can’t begin to imagine the ferocity of the mosquitos at certain times of the year. I knew in Beneath the Mother Tree, which is set on an island peppered with tea tree swamps and a large mangrove habitat, mosquitos were going to play a major role in the story…just how major I didn’t realise until I started writing. My research on these blood sucking winged killers led me to liaise with one of Australia’s leading entomologists, Stephen L. Doggett, who is the Director of Medical Entomology at NSW Health Pathology in Sydney. Stepping into Stephen’s world was like entering through a door into another planet. Touring around his work space in the research department at the Westmead hospital was eerie and surreal as we entered humidified rooms full of ticks and flies and mosquitos, even sections devoted to the growth of maggots (excuse me while I vomit). I saw hardworking scientists hunched over large microscopes studying the minuscule innards of the microscopic as I manoeuvred past terrifyingly large canisters of liquid nitrogen. It has been an absolute delight getting to know Stephen. When we first spoke about my manuscript I remember he asked if it was a romance. I replied that there was a love story involved. He rolled his eyes and said that he ‘hated that kind of thing.’ I felt awful that I was going to force this poor clinical scientist to read my novel full of myth and romance. A few weeks later I heard from him, he had been up most of the night reading my ‘damn book’. He couldn’t put it down, he said, and he particularly liked the love story. The next day he sent through two pages of notes on the entomological sections. Beneath the Mother Tree would not be the book it is without Stephen’s expert entomological guidance. Thank you, Mr Doggett. And if you are interested in bed bugs, he has written some books of his own on those ugly little bloodsuckers!